We apologize in advance for the graphic nature of the photo below. Today we responded to a plea for help from a local shelter for a little dog we have named Orejas. We don't know how it happened but Orejas has a horrific old injury that has exposed the bone of her back right leg. The leg is not saveable but her life is and that is exactly what we are going to do! Right now she is on her way to one of our partner veterinary clinics for examination and will go immediately into surgery to remove the leg. 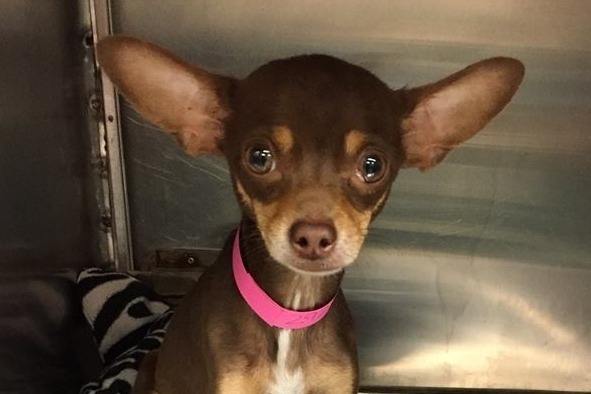 The veterinary staff at the clinic will make sure she is pain-free and thanks to you, by this time tomorrow will be one step closer to a new life. 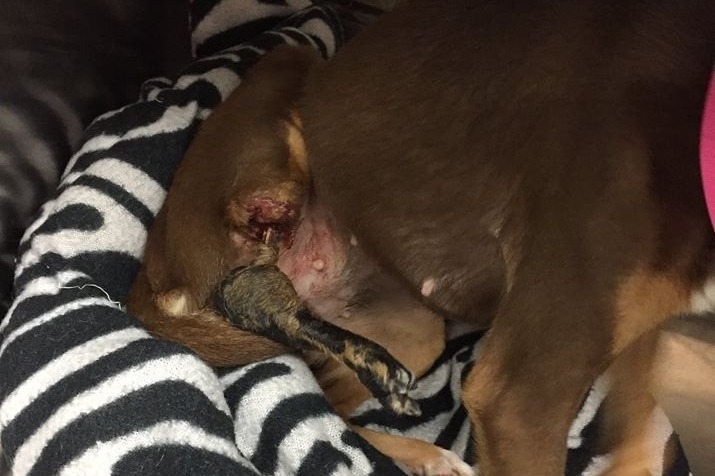 The funds you donate today will help us cover her surgery and recovery and other procedures for dogs just like her. Our supporters always step in for these little guys and we cannot tell you how grateful we are for that. We'll keep you updated as Orejas recovers and cannot wait to show you her "Welcome Home" picture when she finds the perfect family! Because of you, today is the first day of a brand new life for Orejas! After spending one more night recovering at Woodlake Animal Hospital, today Orejas met her new foster family. Of course in true Chihuahua style, there was some grumbling but everyone decided that being friends was much easier! For the first time in a very long time, Orejas is free to run and play without the pain and discomfort of an injured leg. She is a little unsteady now but because she is so young and tiny she will quickly adjust to having only three legs and be perfectly fine! Once she is fully recovered and after getting some great love and attention from her foster family, Orejas will be up for adoption and find the perfect forever home! Thank you again from all of us here at Bella SPCA. You make miracles happen! 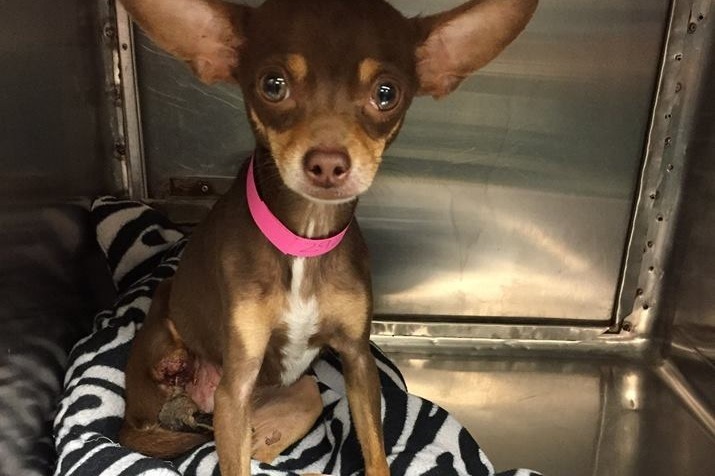 Orejas came through her surgery with flying colors and is resting comfortably. To make things easier on her and only put her under anesthesia once, we also had the team at Woodlake Animal Hospital spay her and fix a problem cherry eye. You made all this possible and have given this beautiful little girl an amazing start to a new life! Thank you from all of us at Bella SPCA. She may be tiny but her spirit is GIANT. Orejas' leg looks terrible but the veterinary team caring for her tells us she isn't in any pain right now and as you can see, her appetite is great! Tonight she is stable, comfortable, and in great hands. Tomorrow they will remove the damaged leg and in no time, she'll be lightning on three wheels. THANK YOU to everyone that has donated for little Orejas. We haven't met her funding goal yet but thanks to you, we are almost there!